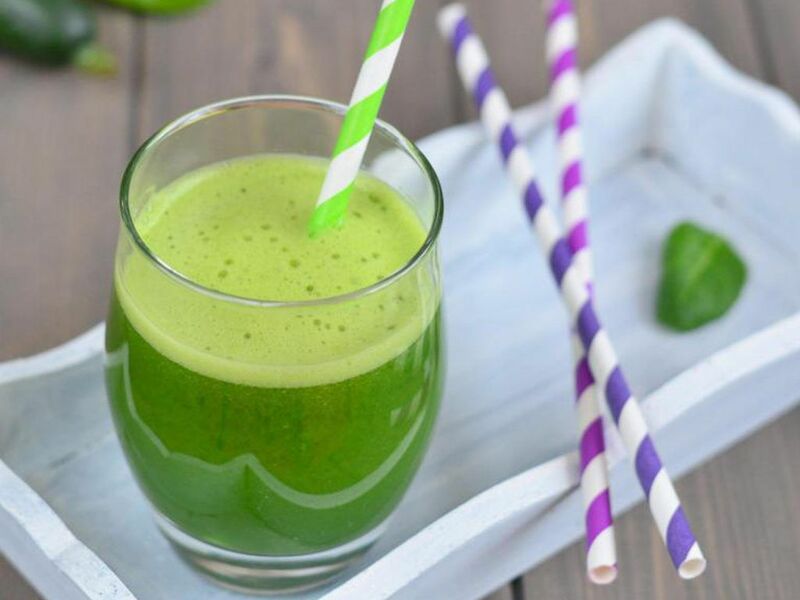 Cabbage juice won’t likely be the first vegetable that comes to your mind when you think of veggie juicing. Tomatoes, celery, and carrot are usually the vegetables that people relate to vegetable juicing. But cabbage is a very good veggie to be juiced. I’ll tell you how to make cabbage juice in this article. There are many health benefits of eating cabbage and drinking its juice. It can lower risks of diabetes, cardiovascular ailments, and cancer. It is also very rich in minerals such as calcium, potassium, manganese, iron, and magnesium. But you wonder-- why don’t just eat cabbage instead of juicing it? Well, drinking cabbage juice makes it a lot easier for our body to absorb the many minerals and nutrients found in it. Drinking cabbage juice is also recommended to people with digestive problems. By drinking it, they no longer have to experience the discomfort of breaking down gassy food. Here’s a very basic cabbage juice that you can prepare within minutes. However, you can only consume this after 3 days. You will need 3 cups of chopped cabbage and about 500 ml of water. Start by boiling the water in a small pot. If you are to use distilled water, skip this part. Put the chopped cabbage into a blender, and pour water into it. The blender should be about three-quarters full. Blend at low speed for 1-2 minutes. Blend the mixture at high speed for 10 seconds. You would want to have small pieces of cabbage left in the juice. Pour the mixture into the 1-liter jar. Seal it tightly. Let the jar sit at room temperature for 3 full days. This will hasten fermentation of bacteria in the juice, which can support good digestive function. After three days, open the jar and pour the contents into another jar using a strainer. This should help separate the solid parts from the liquid. Cap the jar and store the juice in the fridge. This juice is best served when chilled. This juice is good for 1-2 servings. It’s not the tastiest of veggie juices, but I can assure you that it is packed in nutrients like L-Glutamine and gefarnate. This can also do a lot of wonders to your digestive system. 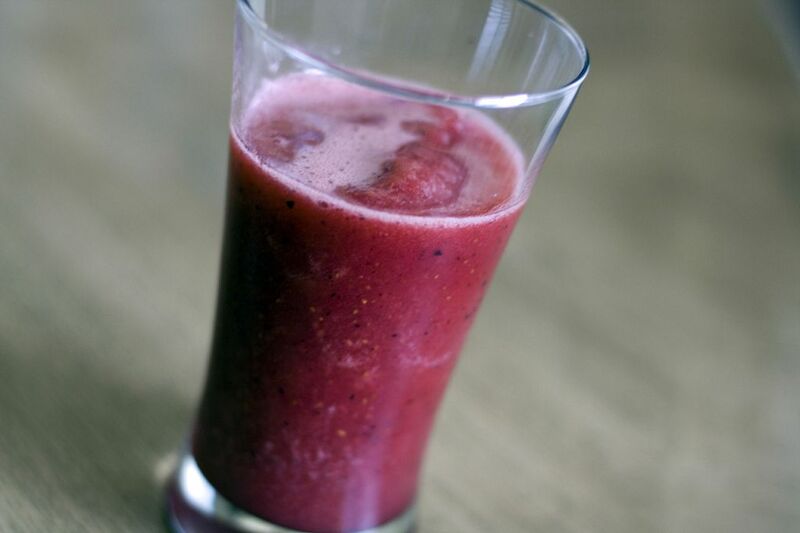 The addition of blueberry and cucumber can make cabbage juice tastier and more tolerable to your taste buds. It also makes the texture more consistent. And the color of this juice is a lot more tempting than the basic cabbage juice. This is so simple to do. Just put the cabbage in the juicer, followed by the cucumber, blueberries, and apple. Pour the juice into a glass filled with ice. Serve immediately. Chop all the ingredients the put all of these in the blender. Process until it becomes liquefied. Cut a couple of 2-feet long pieces of cheesecloth. Unfold each piece then stack them on top of each other in such a way that there will be four layers of cheesecloth. Line the bowl with cheesecloth and then pour the contents of the blender right into the middle. Gather the edges of the cheesecloth with one hand. You’ll use your other hand to twist and squeeze the bundle so that you can extract the juice from the pulp. Pour the juice into a pitcher and serve with ice. This should yield more than 3 pints of juice which can serve 4-5 people. This juice is not only nutritious but it is also more tolerable than the basic cabbage juice. It can serve 2-3 people. Simply place the ingredients in a juicer. Blend on high speed. 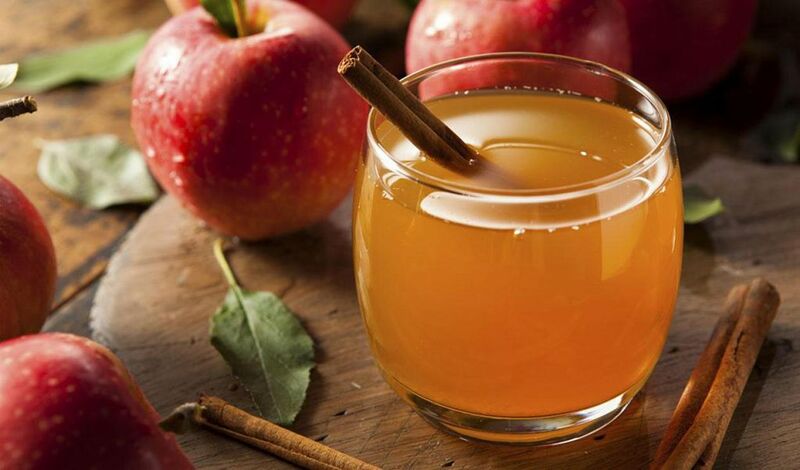 Add the cinnamon and drink immediately. 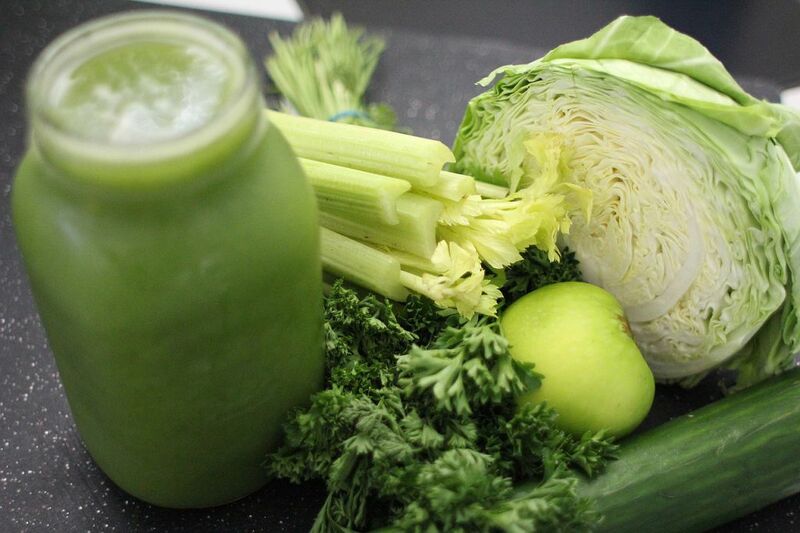 Whether you’re following recipe 1, 2, or 3 here’s one thing you should remember-- consume the cabbage juice right away. This is especially true if you are to benefit from its positive effects on the digestive system. The amino acid glutamine found in the vegetable is fragile that you don’t want it to decay. You should not buy pre-cut cabbage. Halved or shredded cabbage has lost most of its nutrient contents. I also keep cabbage in a plastic bag before putting it in the ref to prevent loss of vitamin C contents. Drinking cabbage juice can be one of the best things you can do for your health. 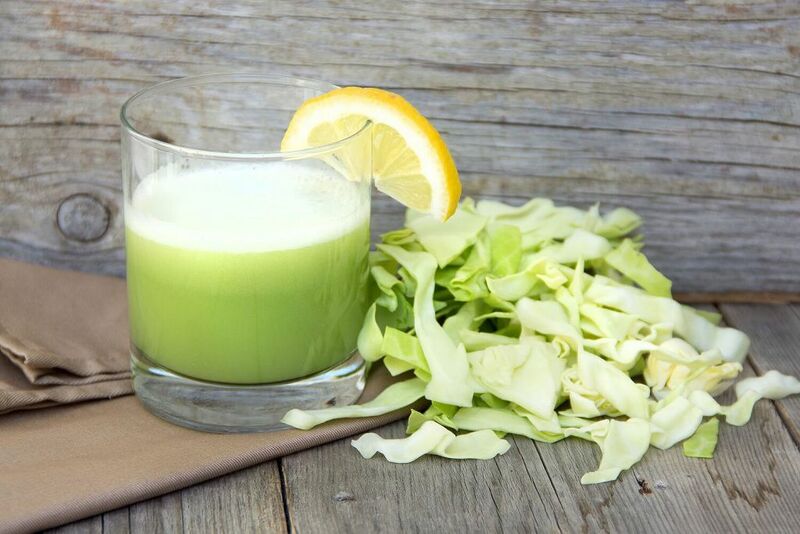 It may not be the best tasting juice out there, but cabbage juice will make your digestive system function better. And you will have more fiber in your body. Did you like this article? If you do, don’t forget to share this with your friends on social media.